Welcome home to 746 Laurel Lane in the sought after neighborhood of Colonial Village. This quintessential, stone cape sits up on a hill on a beautiful lot with mature plantings and plenty of privacy. This expansive, yet traditional home has beautiful hardwood floors throughout and has recently been painted. There are 5 generously sized bedrooms and 3 full bathrooms. The floor plan is flexible with the ability to have either a first floor or second floor master. The first floor has both a living room and a den, an eat-in kitchen and a dining room. The kitchen is light and airy with plenty of cabinet space, granite counter-tops and newer appliances. The kitchen exits to the charming back patio which allows for easy indoor/outdoor entertaining and an amazing view of the gorgeous backyard. The den has brand new carpeting, built-in bookcases and overlooks the back yard. The living room is spacious, has a wood burning fireplace and opens to the dining room. The second floor has 2 large bedrooms which could also be used as a playroom or home office. The finished basement has a fireplace and is the perfect place for an additional family room, media room or game room. There is an attached 2 car garage and ample storage throughout the house. Enjoy a short drive to downtown Wayne and the many shops and restaurants in the area. 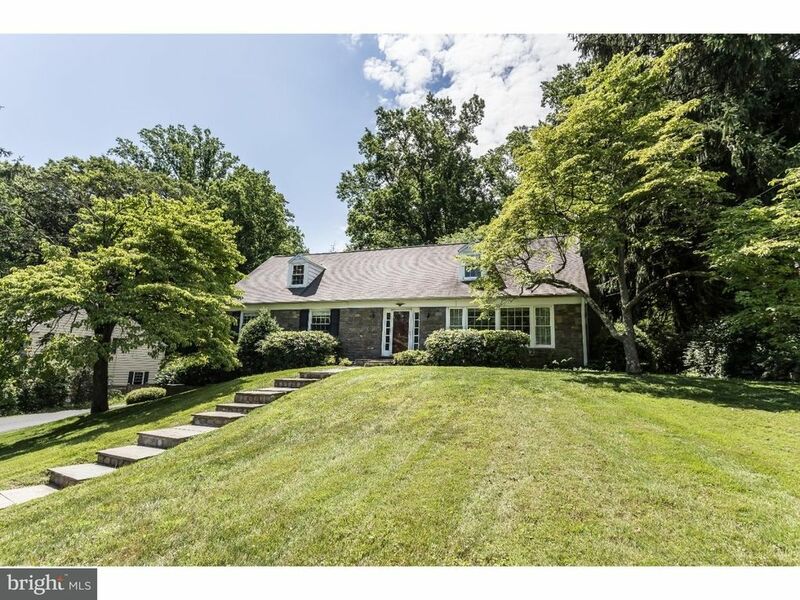 Easy commute to Philadelphia, access to public transportation and located in the top rated Tredyffrin-Easttown School District. Don't miss this turn-key property in prime location.